The temperature is dropping and much of the country can expect the first snow fall around the beginning of next month. But before the first frost, you should get outdoors and enjoy the colorful fall leaves and crisp air on a camping adventure! 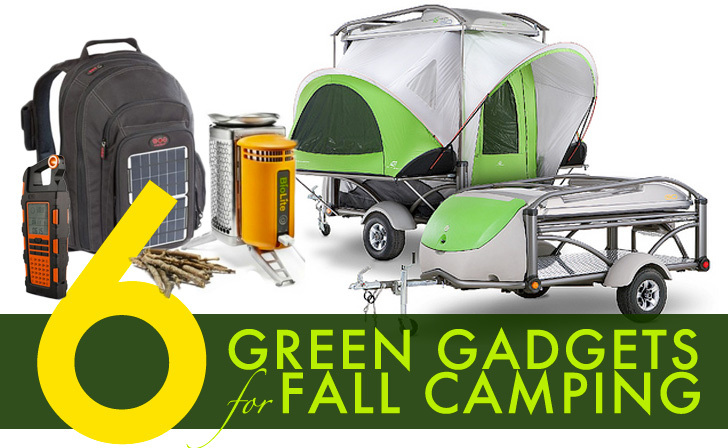 We rounded up 6 green gadgets for the outdoors that will keep you cozy outside, even when night brings a chill. From an energy-producing Biolite Campstove to keep you warm to a cozy Rab sleeping bag that is made from eco-friendly materials, here are 6 handy designs that will make for a wonderful stretch spent in the woods! SylvanSport was shooting for versatility when they thought up the Go Pop Up Tent Camper Trailer. This amazing piece of compact engineering functions as a trailer to pack up bikes, kayaks, motorcycles, or other toys on its aluminum frame, and it can sleep up to four people comfortably when its transformed into a camper. The biggest advantage is that this 840-pound trailer can be towed by most any vehicle with a trailer hitch. Since its debut, the Biolite Campstove has been one of our favorite gadgets for camping. This camp stove will not only cook your food and warm your coffee, but it harnesses the waste heat from its fire and turns it into electricity. The electricty stored by Biolite Campstove can be used to charge everything from your iPhone to your digital camera — so don’t worry about your camera going kaput before you can capture all those new memories. Eton’s Raptor is a must have whether you are camping in your regional park or backpacking in the Sierras. 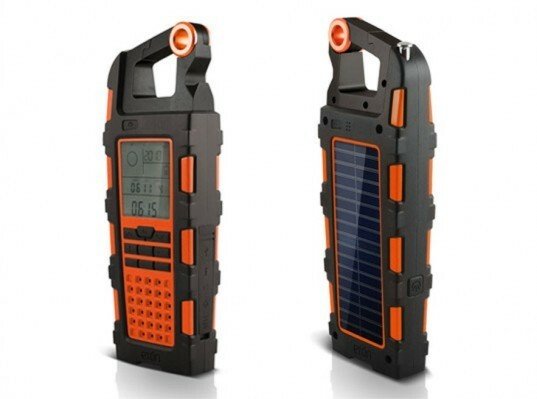 The Raptor is a solar-powered radio that also has a built in altimeter, barometer, compass, and clock. What makes it even better is that it can be used to charge almost any electronic now that has a USB adapter! The camping and adventurer’s gear list has expanded over the past 10 years and now it seems mandatory to take along a portable solar charger. Voltaic Systems’ 1010 OffGrid Solar Backpack is one way campers can now collect solar energy while hiking around the national parks. You can also purchase a flexible solar panel that snaps on ANY backpack if you’ve already got a handy bag to carry your goods. The Solio Classic2 Portable Solar Device is an advanced hybrid charger for the serious adventurers. The Solio’s efficient solar panels combine with a high capacity battery that stores the power for versatile use later in your trip. The Solio is a hybrid because it has the capability to either capture the sun’s energy or plug into a wall socket. Its also compact and lightweight and can be taken anywhere so that you will never be stuck without power for your cellphone, iPod, or digital camera. Outdoor companies are continuing to push further into the realm of sustainability for sleeping bags, and this year the outdoor company Rab has produced the Genesis bags for the eco-conscious consumer. The bags are made from 100% recycled polyester and filled with Rab’s eco3D insulation (which is also 100% recycled polyester). All the plastic components of the sleeping bag are also Bluesign approved. So this should be called best "green" ways to charge your gadgets while camping, and 2 other things. Just because something is made of recycled material doesn't necessarily make it green. And the best way to be green is to not buy all kinds of new stuff. Go Pop Up Tent Camper Trailer SylvanSport was shooting for versatility when they thought up the Go Pop Up Tent Camper Trailer. 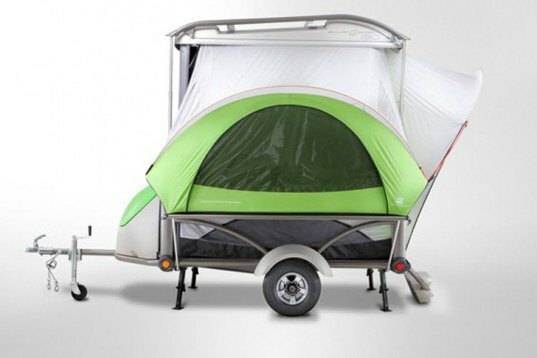 This amazing piece of compact engineering functions as a trailer to pack up bikes, kayaks, motorcycles, or other toys on its aluminum frame, and it can sleep up to four people comfortably when its transformed into a camper. The biggest advantage is that this 840-pound trailer can be towed by most any vehicle with a trailer hitch. Biolite Campstove Since its debut, the Biolite Campstove has been one of our favorite gadgets for camping. This camp stove will not only cook your food and warm your coffee, but it harnesses the waste heat from its fire and turns it into electricity. 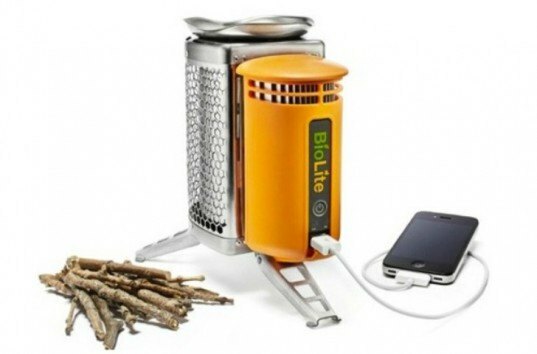 The electricty stored by Biolite Campstove can be used to charge everything from your iPhone to your digital camera -- so don't worry about your camera going kaput before you can capture all those new memories. Eton Raptor Eton’s Raptor is a must have whether you are camping in your regional park or backpacking in the Sierras. The Raptor is a solar-powered radio that also has a built in altimeter, barometer, compass, and clock. What makes it even better is that it can be used to charge almost any electronic now that has a USB adapter! 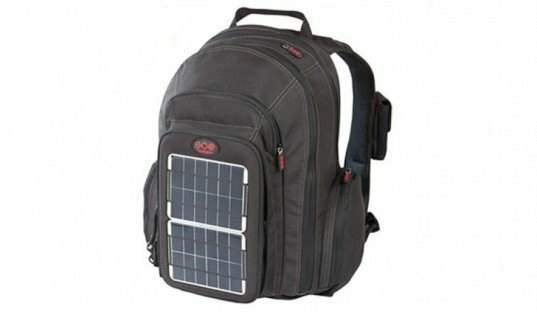 Voltaic Systems 1010 OffGrid Solar Backpack The camping and adventurer’s gear list has expanded over the past 10 years and now it seems mandatory to take along a portable solar charger. Voltaic Systems’ 1010 OffGrid Solar Backpack is one way campers can now collect solar energy while hiking around the national parks. You can also purchase a flexible solar panel that snaps on ANY backpack if you've already got a handy bag to carry your goods. Solio Classic2 Portable Solar Device The Solio Classic2 Portable Solar Device is an advanced hybrid charger for the serious adventurers. The Solio’s efficient solar panels combine with a high capacity battery that stores the power for versatile use later in your trip. 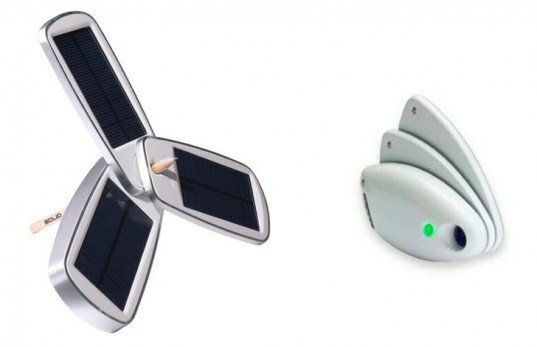 The Solio is a hybrid because it has the capability to either capture the sun’s energy or plug into a wall socket. Its also compact and lightweight and can be taken anywhere so that you will never be stuck without power for your cellphone, iPod, or digital camera. 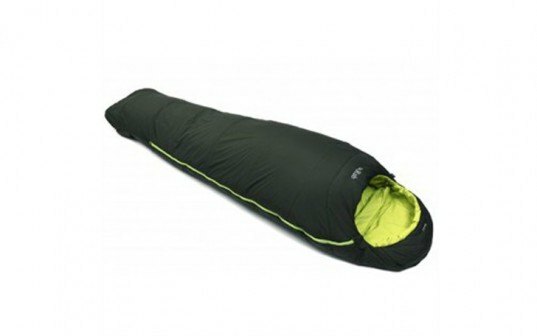 Rab Genesis 1 Sleeping Bag Outdoor companies are continuing to push further into the realm of sustainability for sleeping bags, and this year the outdoor company Rab has produced the Genesis bags for the eco-conscious consumer. The bags are made from 100% recycled polyester and filled with Rab’s eco3D insulation (which is also 100% recycled polyester). All the plastic components of the sleeping bag are also Bluesign approved.